During World War 2 the Zonderwater area near Cullinan became a major assemble and training area for the troops of the Union Defence Force preparing for participation in the war “up North”. 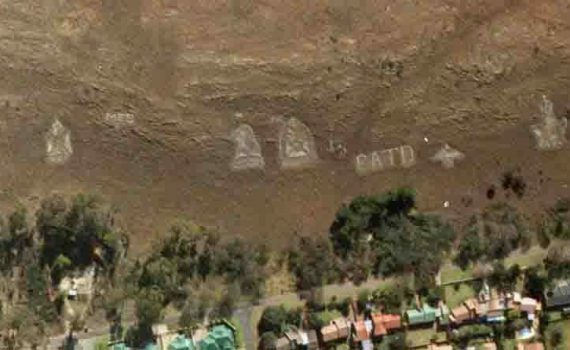 The village of Cullinan serves the Premier Diamond mine. During the Second World War the Union Defence Force occupied virtually the whole village as the command structure for the adjoining Zonderwater troop concentration and training complex. 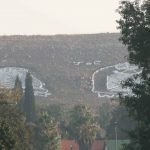 This is still evident on the hills surrounding Cullinan where some of the Regiments packed their Regimental badges in stones. Midway through the war the largest prisoner of war camp for Italians captured in East and North Africa was established at Zonderwater and this is the site of a large Italian war cemetery, now situated within the Zonderwater prison grounds. The Italian Prisoner of War cemetery is maintained in immaculate condition and an annual memorial service is held on the first Sunday of November. The cemetery also houses a small museum where article made by the prisoners of war are exhibited. 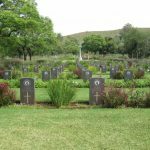 The Cullinan Military Cemetery is on the outskirts of the town and 102 Commonwealth war casualties are buried in the cemetery. The cemetery is the responsibility of the South African Agency of the Commonwealth War Graves Commission. 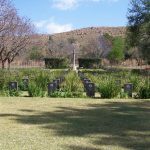 The casualties buried in the cemetery comprises 54 members of the South African Native Military Corps, 18 members of the African Pioneer Corps (HCT) mainly from Basutoland (Lesotho) and Bechuanaland (Botswana), 15 members of the Cape Corps, 14 members of the South African Indian and Malay Corps and 1 member from the Essential Services Protection Corps. A single Commonwealth war casualty is buried in the Cullinan (Premier Mine) Cemetery adjacent to the Military cemetery. Story for the South African Legion of Military Veterans by Lgr Charles Ross with photos by the Commonwealth War Graves Commission and Cullinan Heritage Society.